Another outfits of the week, but as usual I forgot to take pictures for several of the days Monday afternoon- class J. Crew Factory vest and sweater J. 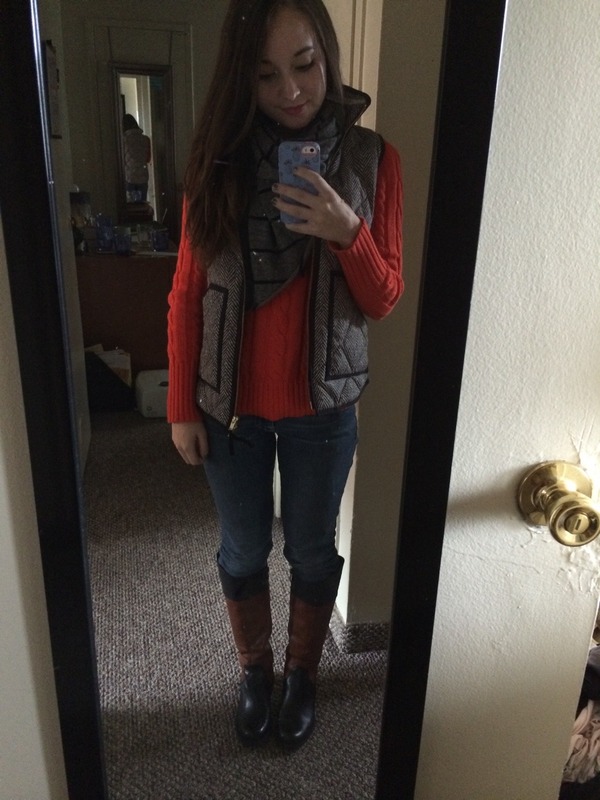 Crew scarf 7 For All Mankind jeans Vince Camuto boots Tuesday morning- internship J. Crew shirt, skirt, tights, and shoes Necklace from Rue La La Lilly Pulitzer belt Thursday morning- internship Lilly Pulitzer top Kendra Scott earrings J. Crew Factory pearls J. 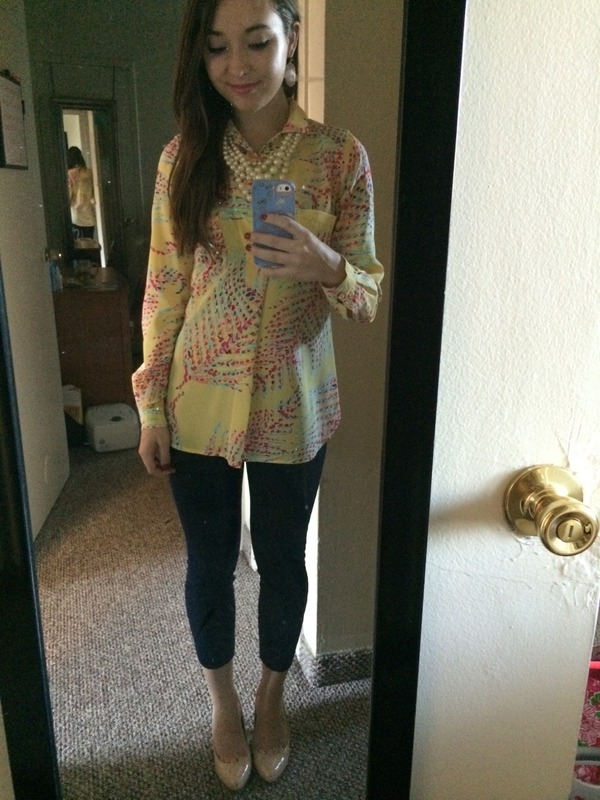 Crew pants Vince Camuto heels Friday morning- internship Ralph Lauren shirt J. 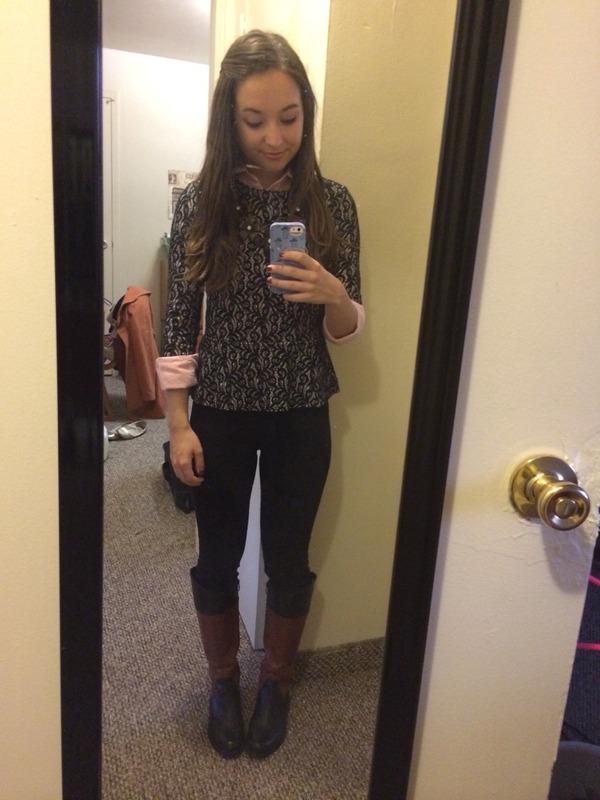 Crew peplum and pants Necklace from Groopdealz Vince Camuto boots Thanks for reading! 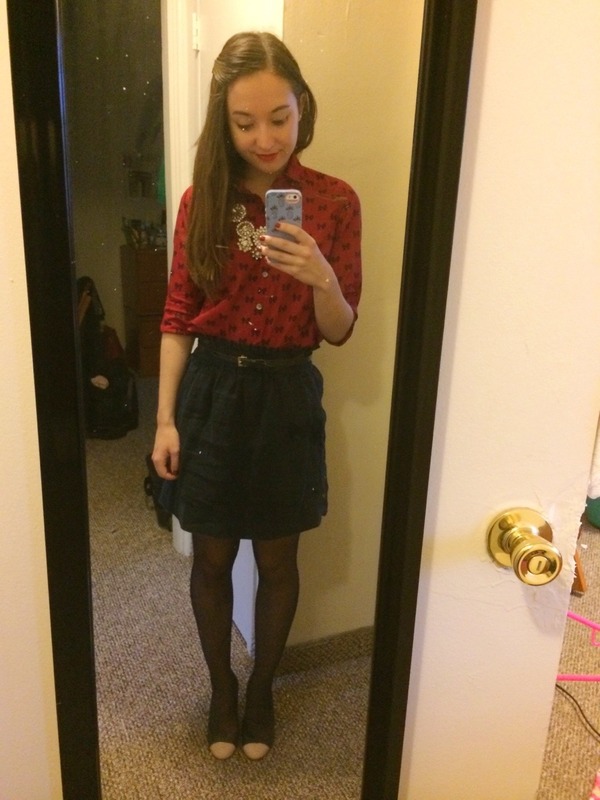 I love your "outfits of the week" posts, your outfits are always gorgeous!